Back in the summer of 2015, Memphis Depay arrived at Manchester United from PSV Eindhoven with great promise, so much so that the £31 million-rated signing was immediately awarded the famous number 7 shirt at Old Trafford. However, Depay failed to make the desired impact in Manchester, as he struggled to nail down his spot under Louis van Gaal, and was eventually shipped out by the Dutchman’s successor, Jose Mourinho. The young forward attributed his failures in England down to him not being happy with his own self – a belief that manifested into his performances on the pitch. 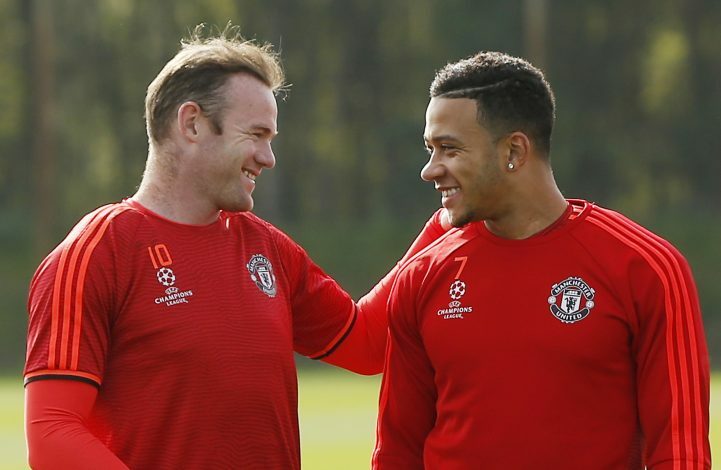 But according to Manchester United legend Wayne Rooney, who played alongside Memphis during the latter’s short stint at the Premier League club, the main problem with Depay lied in his attitude. When asked about Memphis in his interview with The Times, Rooney revealed: “Memphis? He came on at Stoke away and messed up for their goal so Louis van Gaal made him play for the reserves the next day. However, the current DC United star did vouch for Depay as a person, whilst also adding that he is happy with the way things have turned out for the 24-year-old since his departure from Manchester United. “But Memphis is a lovely lad and it’s good to see things going well for him now,” Rooney concluded. Depay currently plies his trade at Ligue 1 outfit Lyon, where his immensely impressive displays are once again attracting the eyes of Europe’s top powerhouses.